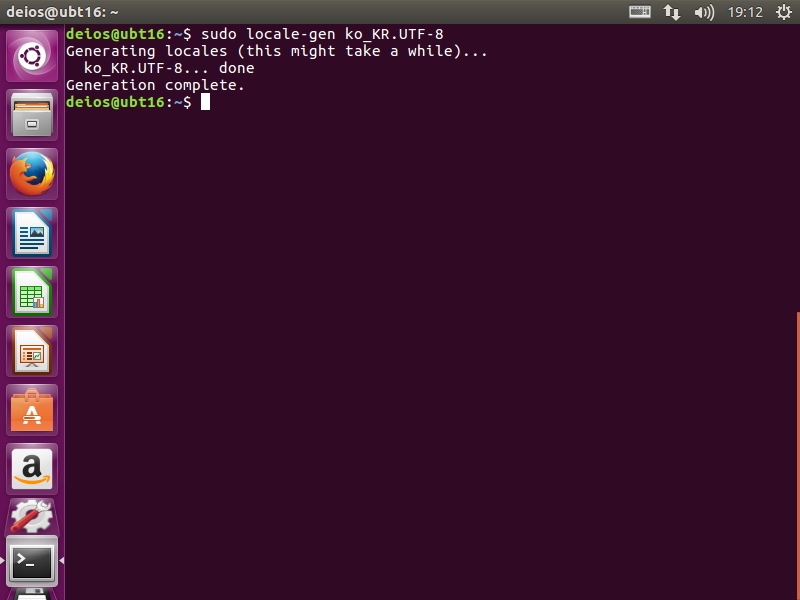 sudo locale-gen ko_KR.UTF-8명령으로 한국어 locale을 설치합니다. deios@ubt16:~$ sudo locale-gen ko_KR.UTF-8 Generating locales (this might take a while)... ko_KR.UTF-8... done Generation complete. sudo dpkg-reconfigure locales명령으로 locale을 재설정합니다.